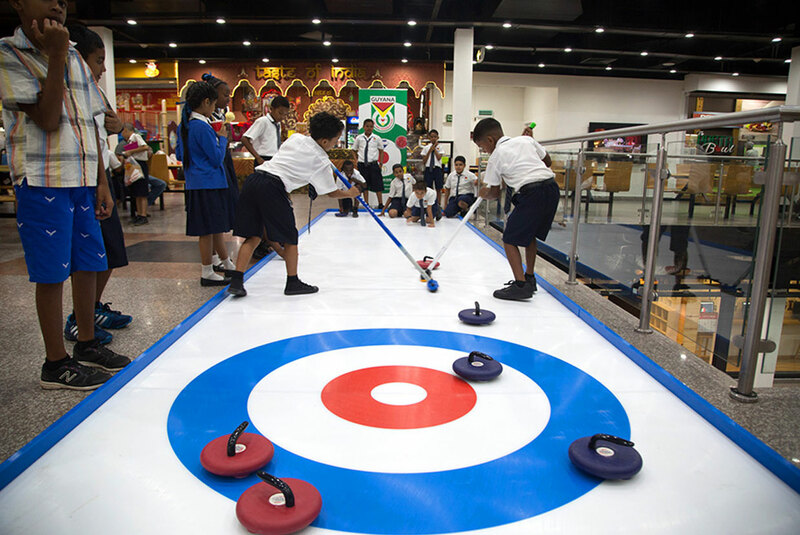 In May 2017 the Guyana Curling Federation officially launched the Olympic sport of curling in Guyana. 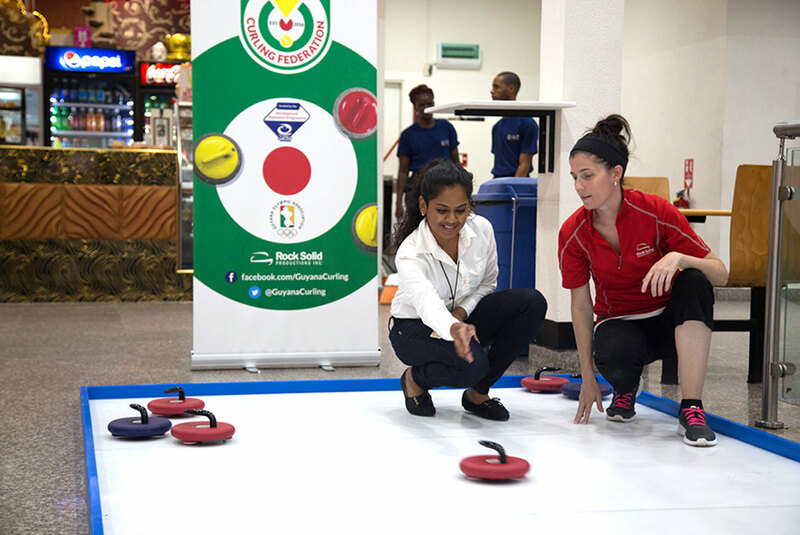 We worked with the Federation to showcase curling without ice for the first time in a Caribbean setting. 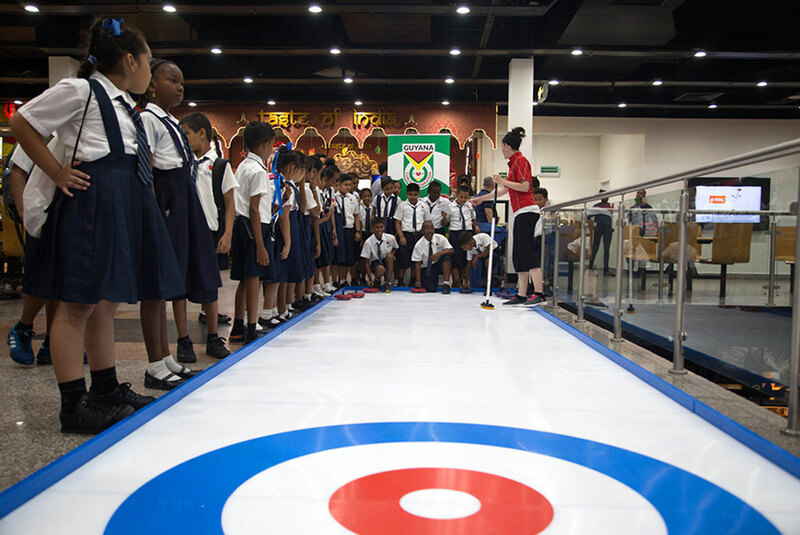 One of our Street Curling rinks was installed at the Giftland Mall in Georgetown, Guyana where hundreds of people took their turn throwing stones and learning about curling for the first time. 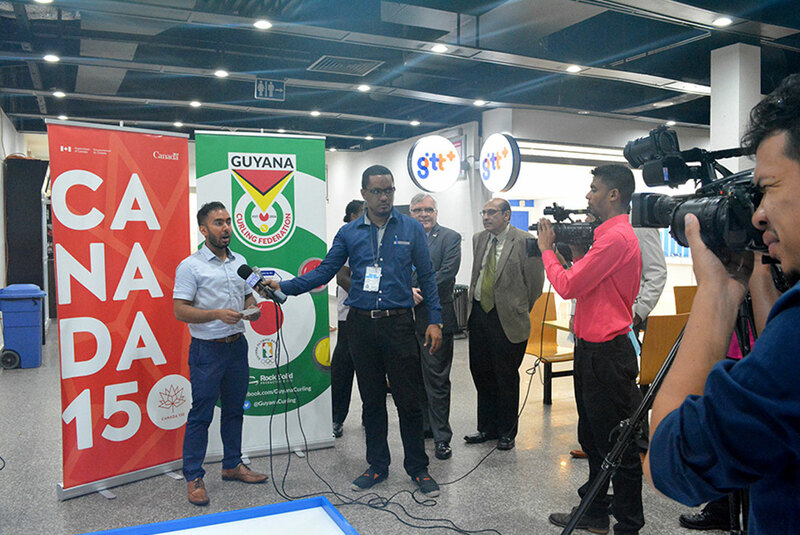 The launch garnered an incredible response from the local media with almost every national media outlet attending. 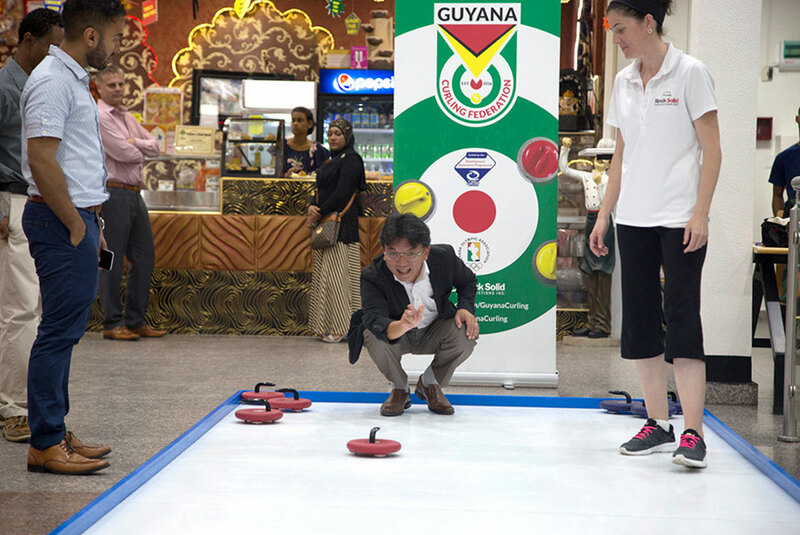 Ray Husain, Secretary General of the Guyana Curling Federation, Pierre Giroux, the High Commissioner of Canada to Guyana, and K.A Juman-Yassin, President of the Guyana Olympic Association were on hand to talk about the future of curling in Guyana. Ray Husain said, "Rock Solid Productions was amazing to work with from the beginning of the process to the end. The event was a realization of some big dreams and turned out even better than we could ever have imagined. Rock Solid Productions will be my first phone call when we start planning our next event."